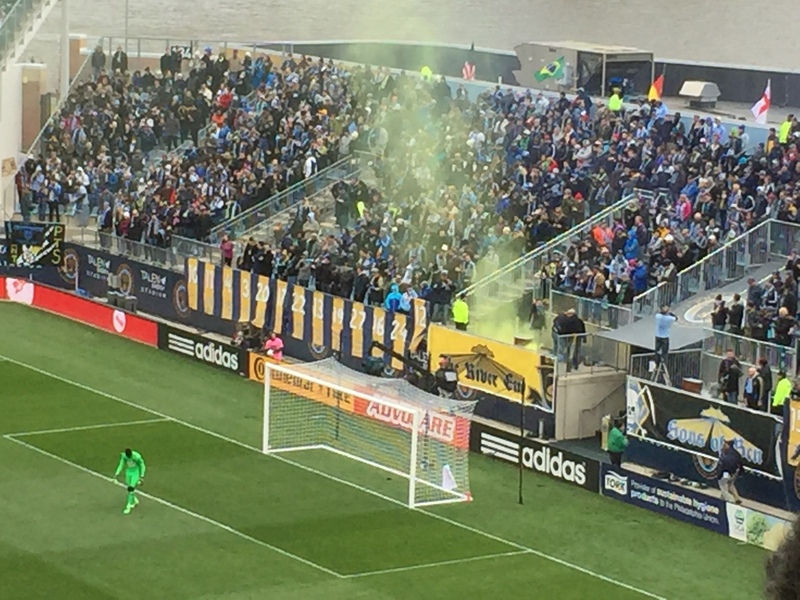 CHESTER, PA – The Philadelphia Union opened their 2016 season home opener to a crowd of 17,027. Despite the chilling weather a day before the official start of Spring season, Philadelphia Union fans were eager to watch their Philadelphia Union take on the New England Revolution after an impressive road win against the Columbus Crew. The Philadelphia Union opened the marker in the 18th minute with a clever goal from striker, CJ Sapong. Sapong was near-post just outside the 6-yard line and slid past two defenders to slip a goal past Revolution keeper, Bobby Shuttleworth. Much to the delight of the Union fans, C.J. Sapong netted his 2nd goal of the match in the 33rd minute. Union defensive midfielder, Warren Creavalle, ran up the left flank losing his mark and crossed the ball to an open Sapong who tapped the ball towards the back of the net. Any momentum that the Revolution were hoping for ended a minute after Sapong’s 2nd goal when Revolution Defender, Je-Vaughn Watson was sent off after committing a hard foul on Union midfielder, Roland Alberg. The Union started the 2nd half pressuring the Revolution backline. The Revolution’s 10-man disadvantage was evident as both Chris Tierney and Diego Fagundez saw yellow cards within a minute apart. Sebastian Le Toux came in the 58th minute and added a boost of offense but was unable to capitalize early on as he missed a penalty in the 78th minute. Le Toux’s persistence paid off in stoppage time when Union midfielder Leo Fernandes sent a cross into the box which was tapped in by Le Toux. It does not mean anything man. It is three games and there is a lot of soccer to be played. I just talked to them (Union Players), which I don’t always do after a game, but you know they’re not happy with the performance. New England still had a lot of the ball. We are better now than last year but that is not saying much because last year we were bad. The Union will hope to extend their win streak on the road against the Chicago Fire. BREAKING NEWS: First images coming out of the Swiss Hotel where Soccer Officials were detained on bribery and racketeering. As raid proceeded at a five star hotel over looking the Swiss Alps, ConcaRATS search for high ground. It took Club America less than a week to fill in the coaching vacancy after the firing of Uruguayan manager, Gustavo Matosas. 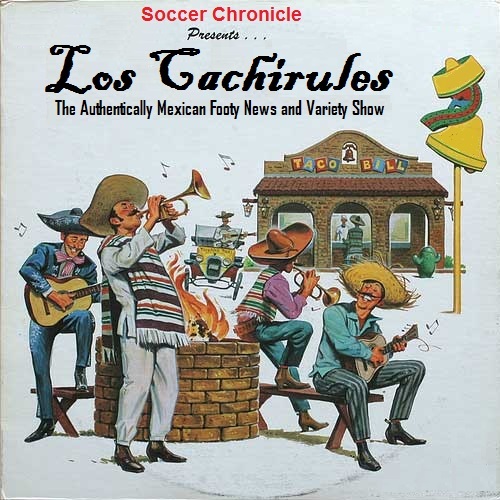 At the club’s press conference, it was Club America’s President, Ricardo Peleaz, whom informed that both parties were parting due to professional differences as how the team was going to be rebuilt. Ricardo Peleaz noted that Matosas requested players which the team denied on account of salary cap issues. Within a few days, the Uruguayan coach stated that Peleaz misspoke on the matter and that he never put an ultimatum as to whom the club had to sign. Despite winning the CONCACAF Champions League last month, it became apparent that Matosas’ days were numbered on account of lackluster performances throughout the season. With Ambriz’s arrival to the club, this would be the 3rd coaching change within the last two years. Under normal circumstances, the constant carousel of coaching changes is usually indicative of worrisome times, a reality that couldn’t be further from the truth. Within the last two years, the club has reached three domestic league finals and one international cup final, with 3 different manangers. With that sort of success rate, the current front office has to be given the benefit of the doubt, even though conventional wisdom shows unstability and failure with that amount of changes within that small time frame. They are the exception, not the rule. As an avid Americanista, I must admit that the 2 managers that I did not want ended up not only proving me wrong, but making me a fan of theirs—Miguel ‘Piojo’ Herrera and Mario Carrillo.